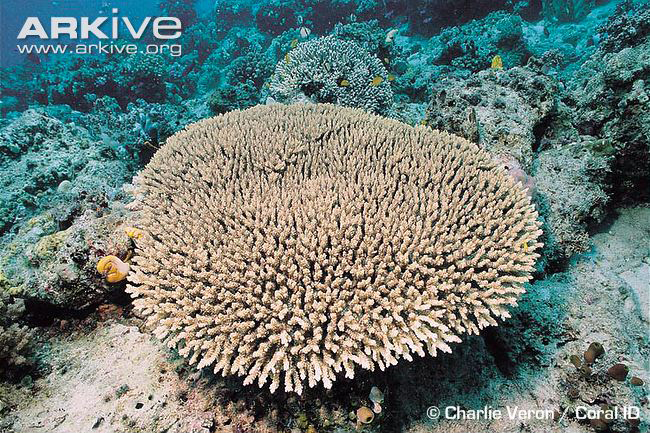 Our Featured Coral of the Week comes from Joe Know Reefs. As mentioned in our post on 8/5/2015, Joey imports corals from all over the world and he is based in North Charleston, SC. 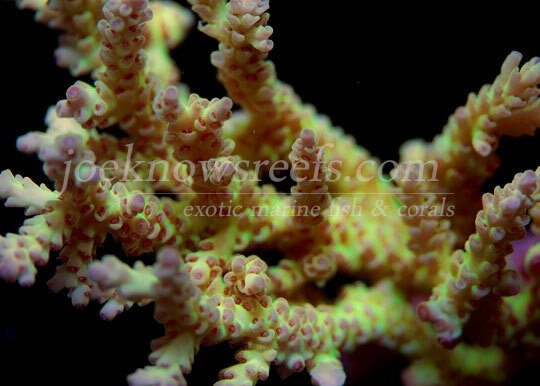 This weeks featured coral is the Acropora selago. Acropora selago is typically found at a depth of 5-20 meters on fringing reefs and they are typically collected and farmed off the shores of Bali and Indonesia though they can be located in many other areas off the coast of Fiji, Philippines, Australia etc. In the aquarium – Acropora selago prefers moderate to strong indirect flow from alternating sources of origin (wavemaker etc) – moderate lighting in the 250-350 par range under full spectrum lighting. Typically A. selago is a fast grower when conditions are right. A selago forms “tables” as it grows and branches roughly 3-4mm thick. 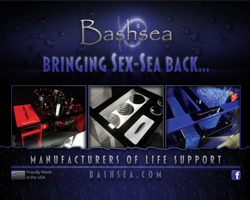 Colors typically range from a yellow/green, blue/purple, white/purple, pink/white to brownish/white. Here’s an example of A. selago in the wild. Charlie Veron describes the species as <NT> (Near Threatened) therefore we encourage that you obtain maricultured and farmed specimens.